The No. 1 linebacker in the 2018 recruiting class to play for the Crimson Tide. Ale Kaho is bound for Alabama after all. The saga surrounding the former five-star linebacker and his abrupt departure from Washington will end with him playing for the Crimson Tide, a source close to Kaho confirmed to The Seattle Times on Wednesday. 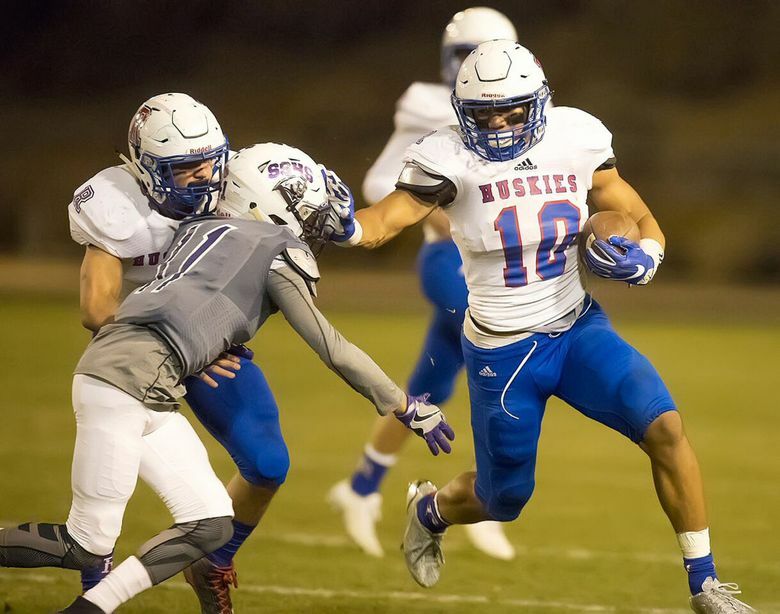 The news comes just two days after UW coach Chris Petersen announced Kaho had been granted his release from his National Letter of Intent with the Huskies. Kaho is expected to be eligible immediately at Alabama. Kaho signed with the Huskies during the early signing period last November, choosing UW over Alabama and a number of other high-profile programs. A source close to Kaho’s recruitment said it was Kaho who felt strongly he belonged at UW, but family members had long tried to sell him on Alabama. At Alabama, he will play for Crimson Tide defensive coordinator Tosh Lupoi, the former UW defensive-line coach who left Seattle in December 2013 while he was under NCAA investigation for allegedly paying $4,500 in cash for a recruit’s tutoring services. Washington paid Lupoi $300,000 as a part of a “mutual separation” agreement. Kaho, ranked by 247Sports as the No. 1 linebacker in the 2018 recruiting class, was in Seattle for six weeks this summer but was unable to participate in the Huskies’ formal offseason training program because he still had one high-school class to complete before he could enroll at UW. Two members of Kaho’s family, an aunt and an uncle, died suddenly last month back in his hometown of Reno, Nev. Kaho’s parents have also been going through a divorce, a family member told The Seattle Times late last week. After Kaho returned to Reno for his family’s members’ memorial services, family members were worried about the linebacker’s health. One close relative claimed Kaho had lost weight while in Seattle this summer.